Can a tax on breast enhancements and liposuction be channeled to benefit the public good? During the Senate’s debates over who should bear the cost of the nearly $900 billion healthcare bill, there emerged a surprising suggestion: plastic surgery patients. 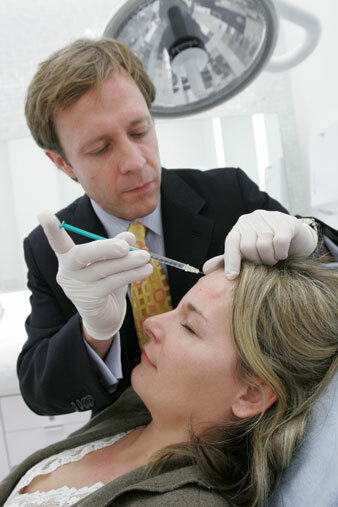 A proposed tax, dubbed the “Bo-Tax” after the wrinkle-reducing injections, would add a 5 percent additional charge to elective cosmetic procedures. The tax could help raise $6 billion over the next ten years to offset the cost of health reform. It was included in the original healthcare bill the Senate considered, and it is likely to make it into the modified bill, when the details of the newly brokered Senate compromise are finally announced. Apparently breast enhancements and liposuction can be channeled to benefit the public good. That plastic surgeons oppose the Bo-Tax is not surprising. But that the head of one of America’s most stalwart feminist organizations, the National Organization for Women (NOW), has also come forward to oppose the bill certainly is. NOW has railed against silicone breast implants and cosmetic surgery in the past. The group sponsors an annual “Love Your Body Day” to encourage women to appreciate their natural bodies–uncut, unenhanced and un-Botoxed. The real issue here is not whether women should have the choice to get plastic surgery. It is not a ban on plastic surgery that has been proposed, only an excise tax. What is of greater concern is that the leader of the most prominent feminist organization in the US could speak out on a topic of such minor concern when there are so many feminist issues at stake in the healthcare debate, like reproductive rights and insurance coverage of mammograms. Botox should not be further from feminists’ minds. Aligning feminism with the cause to keep plastic surgery costs low reinforces the notion that feminism is a movement for white, middle-aged, middle-class women. Feminism has needed to lose that label for more than a century. As a young woman, I identify as a feminist and have great respect for NOW, but many of my peers do not. They feel that feminism, which to my generation is unfortunately a loaded term, can’t bring them what they want: professional success, good pay, recognition for their work, happy relationships. The healthcare debate–and feminists’ success at proving they can represent women’s interests in the legislation it produces–will be a critical test of feminism and its relevance. This is feminism’s chance to show it is not dead, to prove to young, often skeptical women that feminism isn’t a toxic term but an effective movement that they should join. By getting caught up in a debate over plastic surgery, feminists are losing this opportunity to advance women’s real (not cosmetic) rights. They are also sending an inaccurate message to young women about the substance and value system of feminism. Feminism is about fighting a discriminatory society, not about accepting that discrimination and making it more cost-effective for women to capitulate to it. It is about imparting in young women the ethic that they can be judged for their work and talent, not their breasts and wrinkle-free skin. If the foremothers of feminism have given up on these principles, they can’t expect young women to join their cause. Alexandra SuichAlexandra Suich, who served two terms on NOW's Young Feminist Task Force, is a contributor to The Economist. She writes for the Business and US sections of the magazine, and helps coordinate its online debate series. She has also written for Slate, Newsweek International and The Chronicle of Higher Education.